International Conference on Advances Science and Contemporary Engineering 2012 (ICASCE 2012) promises to address current state of the technology and the outcome of the ongoing research in the area of Science & Engineering. It encourages a broad spectrum of contribution in the science and engineering. Articles of interdisciplinary nature are particularly welcome. ICASCE 2012 would offer a forum to the academicians, researchers and students to interact with experts in the area and to learn the recent knowledge in Science & Engineering. It invites papers original & unpublished work from individuals active in the broad theme of the conference. 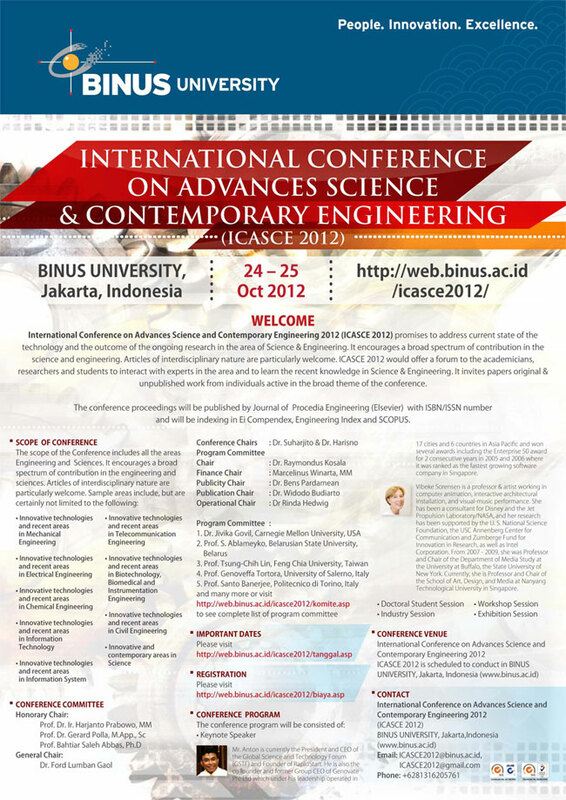 For more information, please visit ICASCE 2012 official website.